Ria at Ford, may romantic history nga ba? 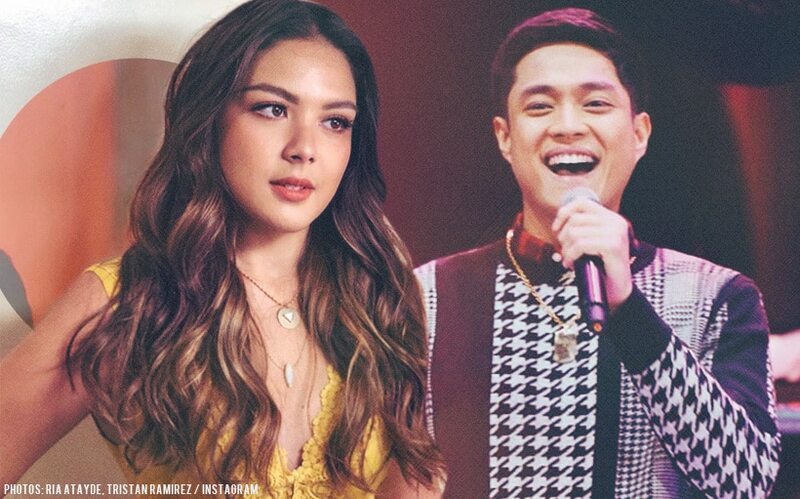 On "Tonight with Boy Abunda" yesterday, January 21, Ria Atayde clarified the real score between her and BoybandPH member Ford Valencia. When asked about her relationship with the singer-host, Ria said, "We're still friends." She also revealed that he was a former suitor. "My focus now is myself. And he knows that. But we really got to know each other naman. We hang out for a bit," she related. "Pero kasi they're (BoybandPH) super busy. And then I became busy. We barely got to communicate na rin. The universe said 'no,'" she said. Addressing how their communication worked back then, Ria shared, "He didn't specifically say na 'Pwede ba akong manligaw', wala namang ganoon. [Hindi dumating sa I love you] Wala naman. It was just two people getting to know each other and it didn't work out. Thank you, next," Ria ended with a laugh. Ria's latest movie outing was in "The Hows of Us" starring Kathryn Bernardo and Daniel Padilla. She was also part of Gerald Anderson and Arci Munoz' romance-comedy movie "Can We Still Be Friends" released in 2017.